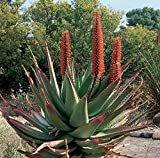 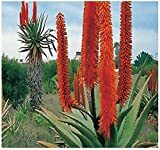 Aloe ferox growing succulent plant of the genus Aloe also known as Short-leaved Aloe, Aloe ferox perennial evergreen plant, used as ornamental plant, can grow in desert, mediterranean, subtropical or tropic climate and growing in hardiness zone 10+. 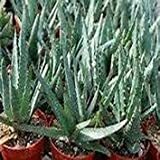 Leaves color green fleshy with spiny serrated the size can be 30-80 cm, some cultivars have spines on the top or the bottom of the leaf and some both. 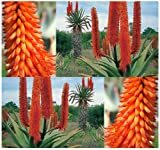 Flower color orange or yellow, flowers grow in inflorescence stalk from the middle of the plants.